The OmniChamp Nitro it built strong to take any rough play that can be dished out. 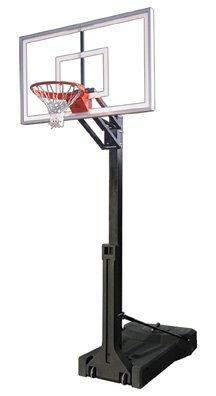 Not to be compared with store bought systems, these portable basketball hoops are made to last in the USA ! The First Team OmniChamp Nitro delivers exceptional performance in a residential model. Before the OmniChamp you would have to buy a commercial grade system to equal it.